Do we want to know the truth? 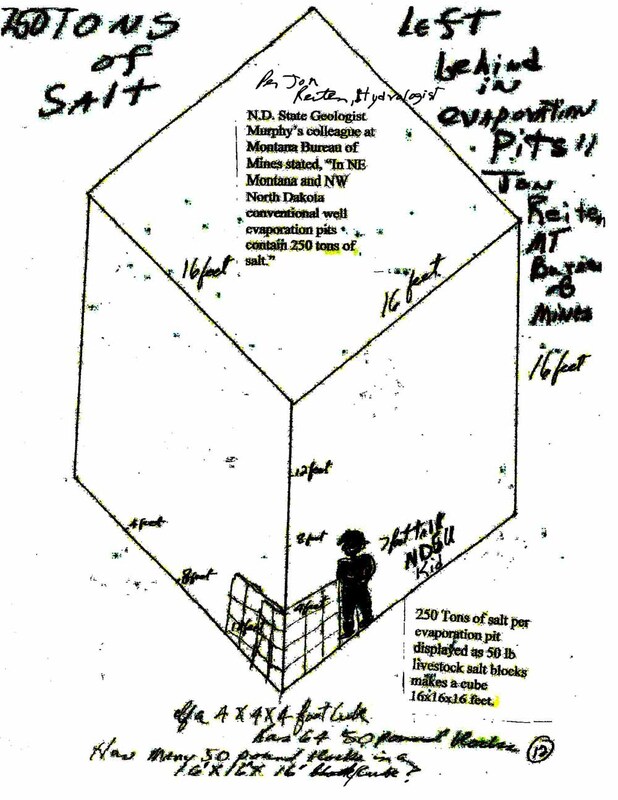 Each pit on average contains equivalent of a salt block 16x16x16 feet. 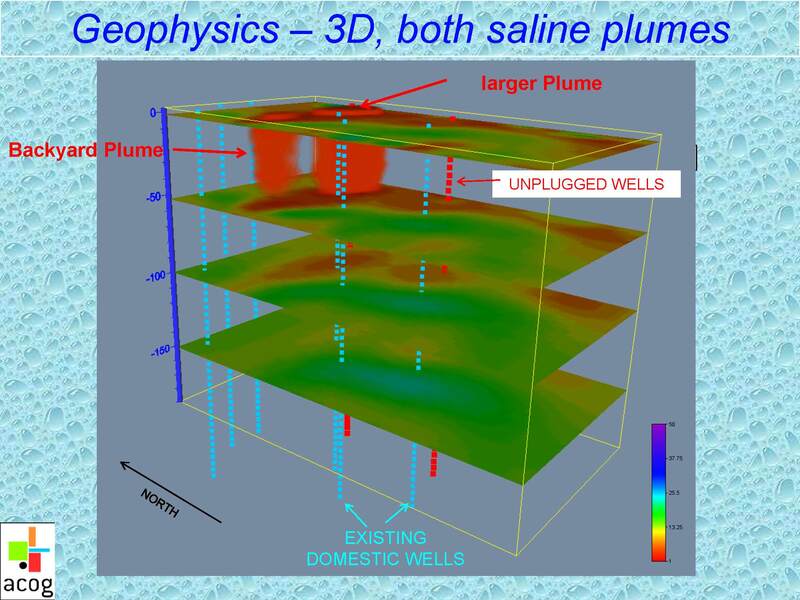 That is an understatement of the 250 tons per pit of salt that Montana Hydrologist and Researcher Jon Reitten calculated have been left behind in the average Williston Basin pits located in NE Montana and NW North Dakota. 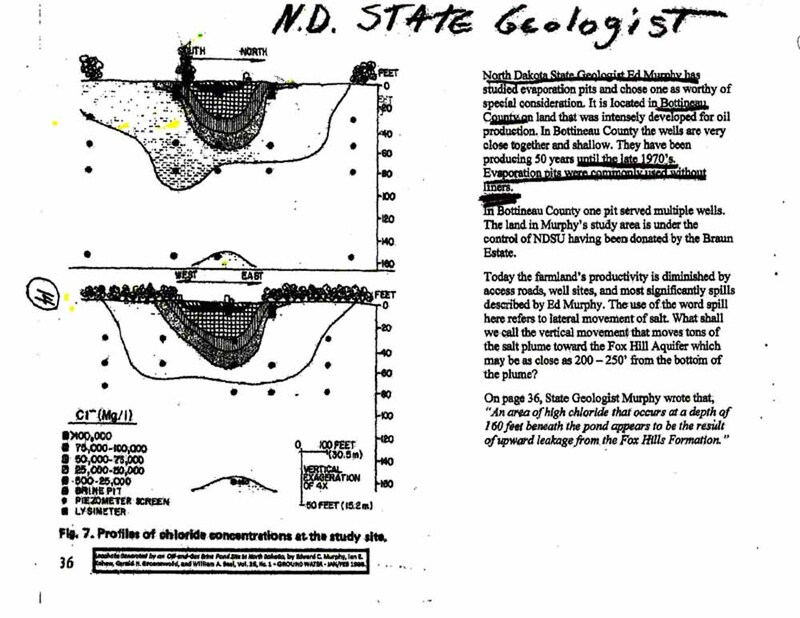 The next image published in 1988 shows a salt plume diagram that was made in the old style by North Dakota state geologist Ed Murphy. He noted ten years of time lapse allowed the plume to penetrate into the earth 10 feet per year. A more sophisticated illustration of plume movement was provided by John Harrington and Patricia Billingsley of the Oklahoma Resource Board. The illustration below shows how preferations of the earth increased downward movement of the salt plume. Likewise, when salt is pumped into underlined formations as a final disposal preferations of the earth allow upward movement of the brines supposedly reposed in a secure formation.